This year Pakistan has faced the bloodiest election since its inception. The bombs and bullets featured more on media than any political promise which could soothe the agony and pain of entire nation waiting for a change. Will the hunt for a “Messiah” to relieve the people of Pakistan from endemic corruption, terrorism, soaring unemployment, weak economy and abject poverty to end after general election or will people will continue to live in their misery and hopelessness under the shadows of death? The full five year rule of Pakistan People Party saw the worst years of democracy. Inflation soared high above while people groped for crumbs of morsels on heap dump. Many young graduates from university committed suicide owing to financial troubles and few young women who could not carry the burden of dowry fell victims of silent deaths. The young children running down in streets are clueless what their country is going through. The so called war on terror did more damage to the overall stability of the country than good. It has caused more sectarianism, division and made Pakistan a hot-bed of terrorism. There was hardly a single day in last five years when there was no target killing, bombing or bloodshed across the country. The poor became the victim of the so called democracy and its vicious circle. 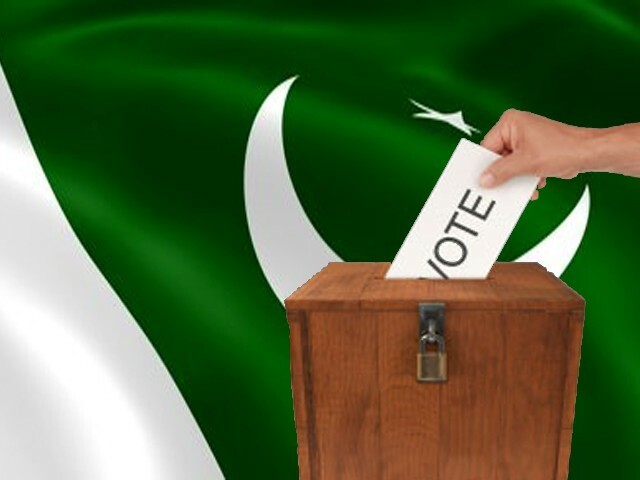 The current elections are point in question where empty slogans of Justice, Peace and Equality are made by almost all participating parties from Pakistan Muslim League (N) to Tahreek-e-Insaaf of Imran Khan, a cricketer turned into politician who is said to bring “New Pakistan” as well as Muttahida Quami Movement (MQM) and so on. I asked Sadiq Masih, a resident of Joseph Colony in Lahore, about the situation and participation of minorities in the general election 2013 he said “We are more concerned about the safety of our lives amidst bomb attacks more than casting votes on the election days.” Sadiq experienced more than 178 Christians houses in Joseph Colony being torched by an angry Muslim mob over blasphemy on March 9, 2013 in Lahore the eastern metropolis of Pakistan. According to an estimate more than 100 people have been killed during the current bloody election campaigns in Pakistan. From minority’s point of view, General elections are more like “selection” on the basis of proportional representation. Major political parties can hand pick their selected members from minorities groups in Pakistan. Only 10 of 342 seats are allotted for minorities and divided among all minorities in Pakistan. However members of minorities can contest the election independently but how much success there is for him when facing a Muslim candidate who is backed up by a strong political party and can attend the cause of Muslim community than a Christian. Hence the chances for a minority independent candidate stand next to nothing. This is why minorities remain voiceless in the Parliament. People in Pakistan are still dying out of hunger, poverty, lack of medical facilities, no education, bombs and bullets as I write these lines. As much as I would love to see the change happen in Pakistan where Justice and Equality which is very much enshrined in the constitution to give a hope and life to millions of people in Pakistan. There is a just a glimmer of hope for a change. How can a day’s election and ultimate change of faces can bring a change? This entry was posted in Articles, Asia, Pakistan, Social Articles and tagged Christian, hope, International News, minorities, Reports, Shekinah. Bookmark the permalink.